Some LG V30 users have reported receiving an update for Android 8.0 Oreo. MobileSyrup has received tips from users with Rogers, Bell and Telus regarding the update. LG also confirms that users from SaskTel, Freedom Mobile and Bell MTS. Currently, the operating system update schedule for Bell, Telus and Koodo doesn’t mention the V30. Meanwhile, Rogers doesn’t have a date for the V30 and Fido says the phone will get the update sometime in April 2018. Although the company’s update page had originally said the update would come in March. Android 8.0 comes with an updated settings app and changes to the notification pane. The update also typically comes with picture-in-picture for apps like Netflix and Chrome, as well as Android Instant Apps. 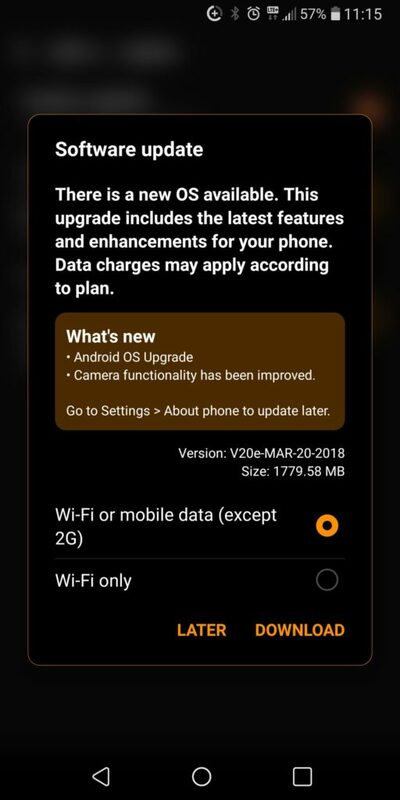 The LG V30’s software update page says that the phone’s camera functionality has been improved as well. 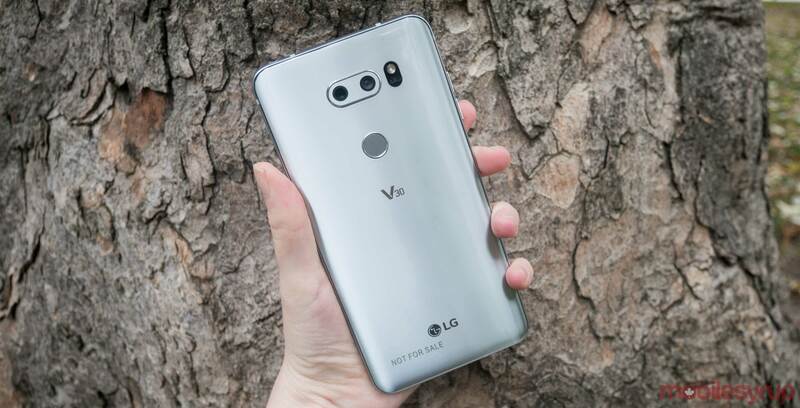 Camera functionality is possibly an update to the AI ThinQ software found on the LG V30s ThinQ — a device that LG says will not make its way to Canada. MobileSyrup has reached out to LG to for official comment on the Android 8.0 update. If your LG V30 has received an update notification for Android 8.0, let us know in the comments below. Update:05/04/2018: LG confirms that the update was applied to all major carriers which include, Rogers, Bell, Bell MTS, SaskTel, Telus and Freedom.